The Mess Potential is Exponential: I remember. I still remember her running down the hall at work. I hear her voice say a plane has crashed in to the World Trade Center. I try to pull up CNN. I can't. So I head to the conference room at work to find the TV. We find out the owner of the company hadn't paid the satellite bill in a while. No signal. The projection TV won't work. We find an old, maybe 20" TV in a closet. There was no antenna. I ran to my office and got a wire coat hanger, somewhere I found pliers and cut it open, then proceeded to hold it in to the antenna spot on the TV so we could watch a fuzzy news feed from the local station. Eventually the company owner got the bill paid and the projection TV turned on, just in time to watch the first tower fall. I remember how quiet it was in the conference room. And then I remember saying "There are people still in there." And then she said "oh they all got out." She was crazy. 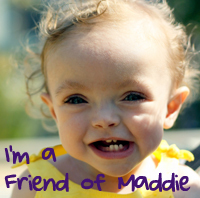 I will never forget hearing her say "they all got out." We didn't get much work done that morning and left for lunch at 11am. We ate pizza. I don't know why I remember we ate pizza. No one was really hungry anyways, we just had to go somewhere. The weeks that followed you could find me glued to ABC News watching Peter Jennings report on what was going on. One night at midnight in the midst of my sobbing I got up and told my boyfriend (now husband) "We're going to Walmart right now. I have to buy an American flag." And we did. And I hung it inside the window of our apartment for a year - until the property management told me I had to take it down. Years later I cried when Peter Jennings died. I associate him to that time in my head. The only good that came from 9/11 was the unity our country felt. The unequivocal banding together, the common pride of being American, of rebirth, reconstruction and the glory of the American dream. I only wish we had held on to that unity. 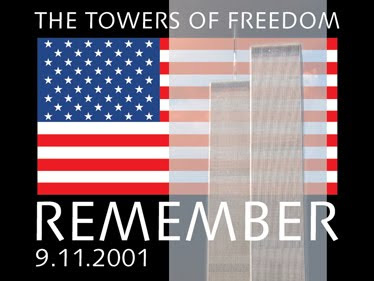 I wish that we could still stand together as equals, as humans, and despite our differences in politics, color, gender or creed, that we could advance progress with the same spirit of America we felt on 9/11. If we could hold on to that, if we could respect that, we could do so much more good for ourselves and the world. I remember. I will always remember. Perfect. I was sitting here last night trying to figure out why I'm so touched by 9/11 this year. Is it because I'm a mother? Because we have a new US President? But I think you nailed it. 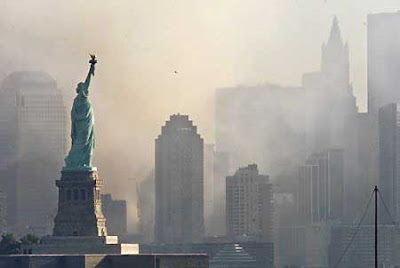 I feel it so keenly because after 9/11, the USA was one country, one people, bound together in sorrow and patriotism. Now, eight years later, it's a deeply divided nation riddled with conspiracy theories and an us vs. them attitude that overrides common sense. I'd never want the US to experience tragedy on that scale again, but I wish there could be unity again. I feel the same way. 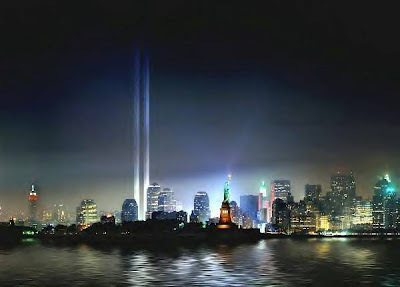 I strongly remember a sense of unity and us as Americans being united in our grief and saddness. I remember a Carpe Diem attitude once the dust (literally) settled. I miss that about our Country. I think the Anniversary of this day reignites that flame, to live for today because tomorrow is not promised. Lovely... I just wish our nation could be this united without a tragedy.